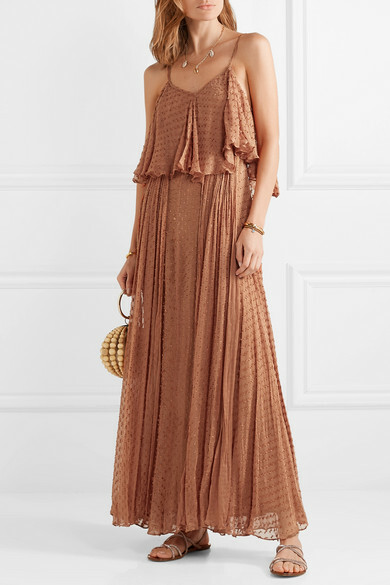 Mes Demoiselles' bohemian designs are influenced by founder Anita Radovanovic's love of travel, which is why its styles are so perfect for bringing on vacation. 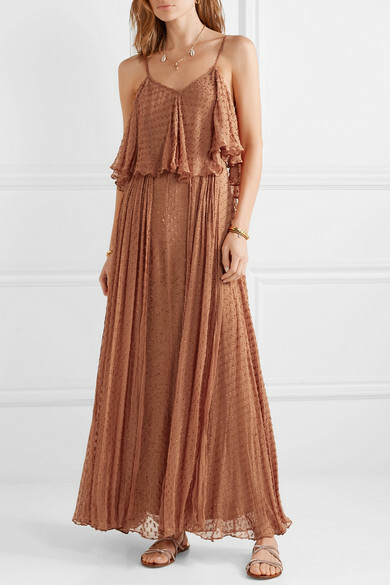 This 'Donatella' dress is made from tiers of fil coupé voile that elegantly drape over the body and has an ankle-skimming maxi hem. Wear it with slides and a beaded tote as you explore sun-drenched market towns. Shown here with: Rosantica Clutch, Pedro Garcia Sandals, WALD Berlin Necklace, Sophie Buhai Cuff, Chan Luu Bracelet, Alighieri Earrings, Chan Luu Cuff.